3. Delivered the keynote for the Brooklyn Friends School‘s professional development day on supporting LGBT students in schools in October for anti-bullying awareness month. 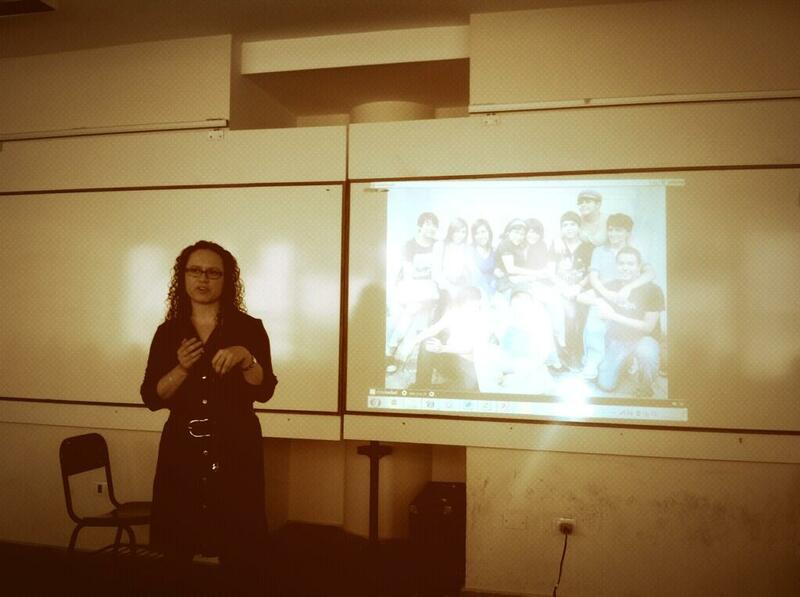 I shared my Fulbright research on queer youth in Mexico and also led a workshop on teaching queer literature and film. 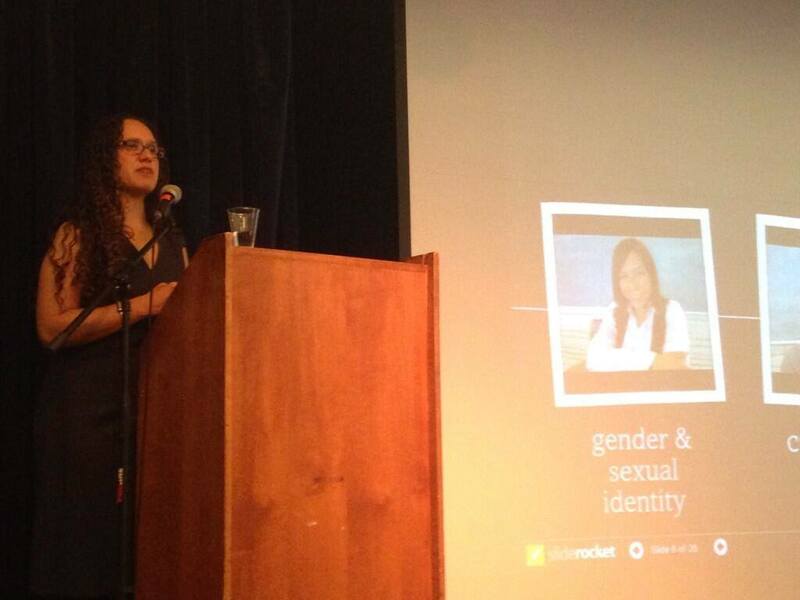 I delivered the keynote at Brooklyn Friends School for their professional development conference on supporting LGBT students in schools (photo credit: Brooklyn Friends School). 4. Participated in GLSEN-UNESCO’s June convening in Buenos Aires to launch a network of academics and activists addressing homophobia and transphobia in schools. I was the only classroom teacher in attendance. During our week together in Buenos Aires, I shared my Fulbright research on Mexican queer youth at the World Congress on Comparative Education. 5. Spoke on a panel in April moderated by Betsy Devlin-Folz from the U.S. State Department for the first ever alumni conference for the Distinguished Fulbright Award in Teaching (DAT) program. Other panelists included Lynn Hommeyer (DAT Fulbrighter 2010) and Lori Nazareno from the Center for Teaching Quality. We all spoke about the importance of teacher leadership outside the classroom as public intellectuals, policy shapers, and advocates for change. 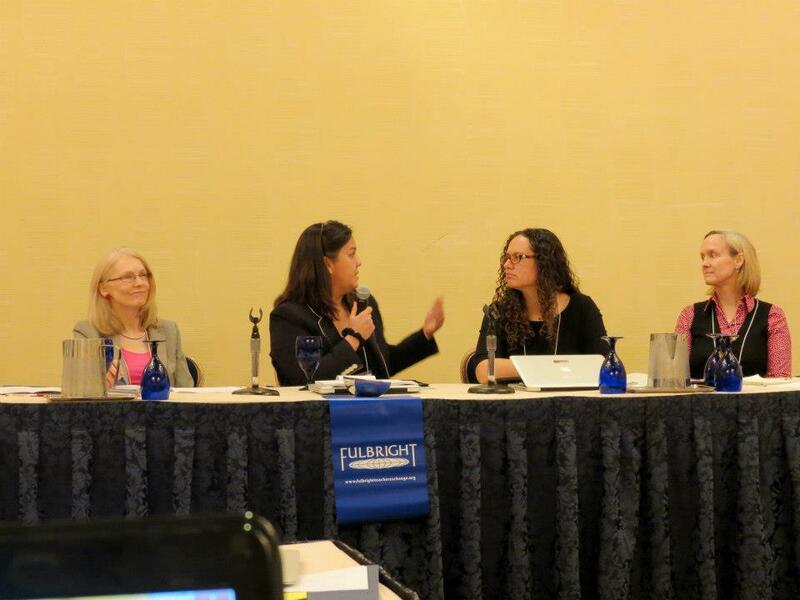 I was honored to sit on a panel moderated by Betsy Devlin-Folz of the State Department at the 2013 Distinguished Fulbright alumni conference. From left to right: Devlin-Folz, Lori Nazareno, myself (Ileana Jiménez), and Lynn Hommeyer (photo credit: Lori Larson). 6. Spoke on a panel at the annual AERA (American Educational Research Association) conference in San Francisco in April with professors from the Institute of Education in London, including Miriam David, Jessica Ringrose, and Victoria Showunmi; and Emma Renold from Cardiff University in Wales. Moderating the panel was Marnina Gonick from Mount Saint Vincent University in Canada. I was the only teacher on the panel. We shared our latest research on feminist pedagogy and practice in K-12 schools. 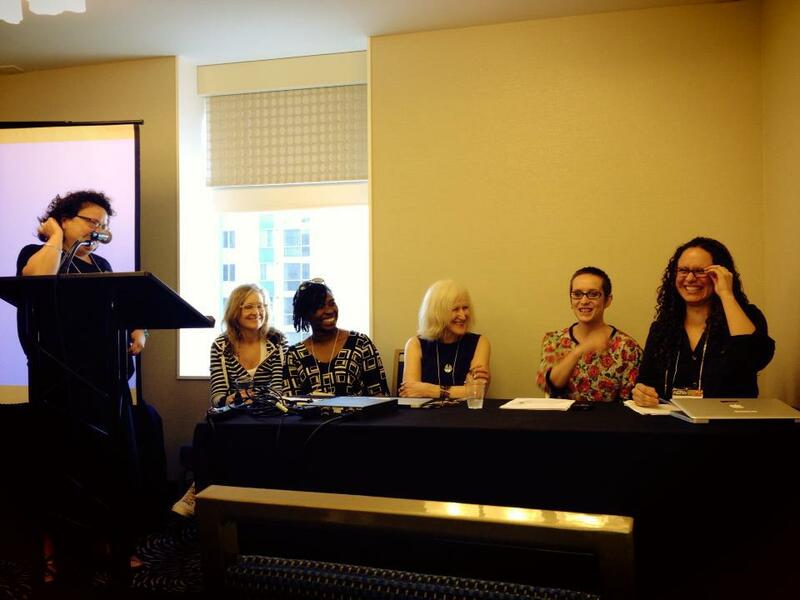 Last spring, I presented with four professors from the Institute of Education in London and Cardiff University in Wales at AERA’s annual conference (left to right: Marnina Gonick, moderator; Jessica Ringrose (IOE); Victoria Showunmi (IOE); Miriam David (IOE); Emma Renold (Cardiff); and myself, Ileana Jiménez (photo credit: Jessica Ringrose). 7. My feminism class student, Nathaniel Magloire, was featured on Nick News with Linda Ellerbee on a special episode with Gloria Steinem in April. Several other students from my feminism class were also featured in a segment at the end of the episode talking about women who have inspired them. I was very proud of all of my students for sharing their knowledge about women’s and gender studies with other young people who were just as passionate about feminism. Watch the full episode. My feminism class student, Nathaniel, appeared on Nick News with Linda Ellerbee on a special episode when Gloria Steinem was also a guest to talk about the future of feminism (photo credit: Ileana Jiménez). 8. Spoke at Barnard’s Center for Research on Women conference, Utopia, in March. I presented on teaching feminism at the high school level and was glad to interact with both undergraduate and graduate students interested in teaching feminism in K-12 schools. 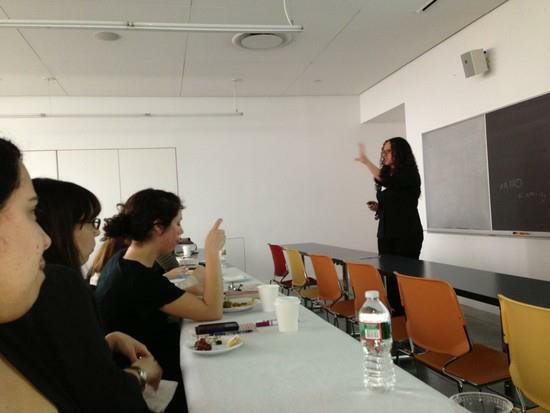 I presented at the Barnard Center for Research on Women Utopia conference in March 2013 (photo credit: Shannon Cuttle). 9. 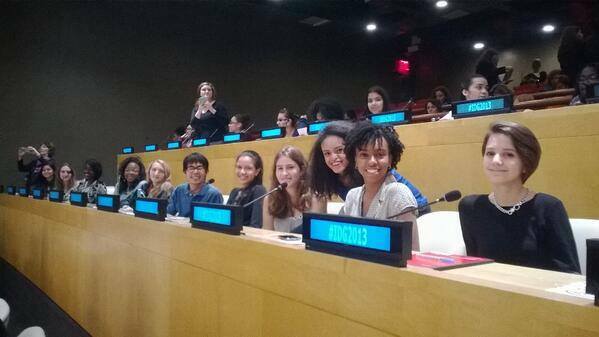 My feminism class students Noel Diggs and Josey Stuart sat on an AAUW panel addressing sexual harassment in schools at a parallel event for the 57th UN Commission on the Status of Women in New York in March. 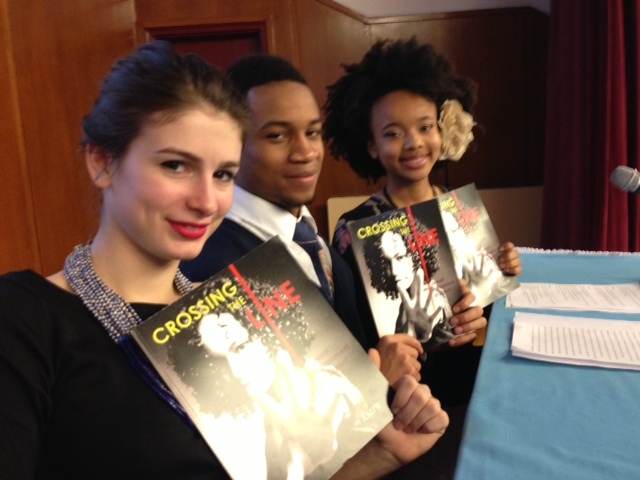 My high school feminism students, Josey and Noel, (front two) and Emily from Girls for Gender Equity spoke on a panel at the 57th CSW in 2013 addressing the findings in the AAUW report, Crossing the Line: Sexual Harassment at School. 10. Enrollment in my high school feminism class in 2013 was the highest ever at 17 students. Speakers from local, national, and global settings continue to visit us each year. Below, Jasmine Burnett, black feminist activist, came to visit us to talk about womanism. Her excellent article about Rosa Parks’s activism on violence against women was a part of my curriculum last year. 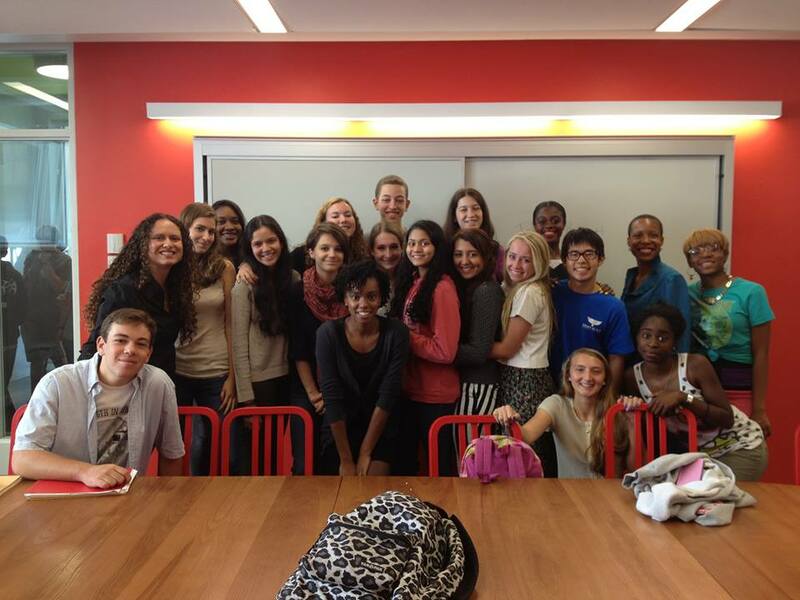 This year’s feminism class was the largest it has ever been at 17 students total, including three boys. Also in this photo is Jasmine Burnett, feminist activist (in aqua blue dress), who visited our class to talk about womanism (photo credit: Heather Brubaker). Looking into 2014: I was approved to go to India for the start of this year to do a tour of schools to share my work on teaching women’s, gender, and queer studies at the high school level. Follow my blog posts in early 2014 for updates about the tour. 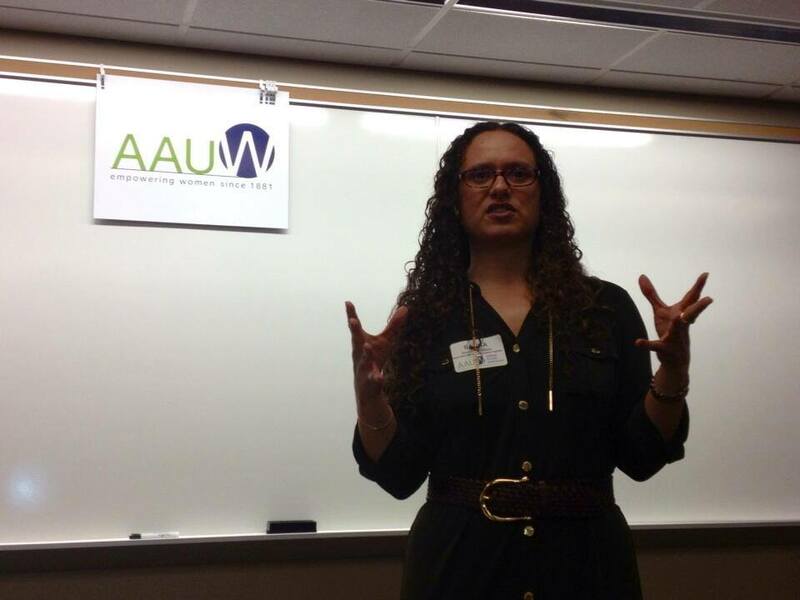 Consider inviting me to speak at your school in the U.S. or globally in 2014 as well! Onward for an inspired and inspiring new year together as we launch a movement to bring women’s, gender, and queer studies in schools nationally and globally. I love all the good, important work you are doing! Thank you!!! I am a women’s studies teacher both online and in classroom. But I have lately been craving a year long classroom experience with the same students. So I’ve begun thinking about high schools. Do you have any suggestions for how best to approach them? With a proposal? Etc? Thank you for your kind words. It depends on the kind of school you are looking for. Public and private schools have different application processes. Depending on your field, you can begin teaching in a school based on a particular subject, and then bring a women’s and gender studies perspective and content to your classroom through that subject. There aren’t any high schools that will hire you just to teach women’s studies (unless it’s a private school looking for someone to teach a particular elective or a particular course content), as it’s not a core subject in schools, so you have to offer schools your field expertise first. 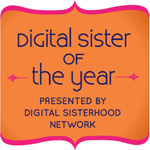 Sending energy and support for all that you do!